Global marketing campaign is defined as the operations involving the management, production, and delivery of marketing content through different marketing channels with the concept of achieving a single goal envisioned by the company or the organization. The definition might be difficult to understand at first. But knowing how global marketing campaigns works begins by understanding the concepts of what Marketing Contents are and the different Marketing Channels available in today’s business landscape. Having a good grasp of what these concepts will prepare you plan for the next steps in developing the best Global Marketing campaign that fits your business persona. With the emerging technologies brought upon by the internet, Digital Content account most of the effort done by global marketers to improve the business they are in. It is more like if a business does not adopt to have a digital presence then it is bound to fail. It is also known that websites are the main source of digital content for any business. Having a business website that is both functional and informative in nature is a must. But there are other digital marketing content you will want to consider in planning a Global Marketing Campaign. These can include Animated GIFs, Live Streaming Videos, Tutorial, and Infographics. You can also incorporate content through available social media website like Twitter and Facebook. Choosing the best marketing content is all about balancing business ideals, growth, and the targeted audience. In developing the best marketing content to publish and share is conceived through a rigorous marketing plan that is both time constrained and relevant to the business and users. Big ticket marketing tools and services provider like HubSpot always considers current trends and viral topics as the best source of growth for businesses. Businesses owners often find development of marketing content as something remote and they do not want to get themselves involved with. But with digital contents, being a front-runner in your industry will require a persona and that persona is often the CEO of the company. Bill Gates of Microsoft, the former Steve Jobs of Apple, Richard Branson of Virgin Inc, and Mark Zuckerberg of Facebook are just few of the business faces that are always associated with the company they represent. Creating marketing content revolving around these people will sure spark interest to both your new and old readers. Now that you know about what marketing contents are and how to develop them effectively, let us move on the different marketing channels available. Knowing this concept will also help you plan the marketing contents to build and how to effectively use them in a Global Marketing Campaign. A marketing channel is defined as the people, organizations, and activities necessary to transfer the ownership of goods from the point of production to the point of consumption. It is the way products and services get to the end-user, the consumer; and is also known as a distribution channel. In simple terms, marketing channel is the whole process of selling your product or services. Since we are focusing on digital marketing for a successful Global Marketing campaign, a study from Kisssmetrics provides useful information on how to properly use the marketing channel available in the digital world. It is no secret that every campaign aims to get higher revenue upon execution. It is would also be helpful to know the other goals that marketers aims to achieve. Leads and website traffic are number 2 and 3 respectively. They represent the typical digital marketer and the results they require. Intriguing enough is that budget and process automation rank the lowest in terms of the goals. This is probably because most marketers are not constrained by budgets set by the company and the process involve in marketing are often in place and seldom change. Data analysis is one of the most difficult aspect in marketing to automate effectively. In addition, these are the top digital marketing channels to exploit in today’s business space. Having a website alone opens-up most if not all the opportunities available in the digital space. Above all this, one concept embedded in all these channels is probably User Experience. Does a website provides the best possible User Experience and are they getting the things they need? These are some relevant questions that needs to be answered as a marketer. All channels all have their challenges when facing questions about User Experience. Based on these concepts, these are 10 of the best Global marketing campaigns based on annual rankings of WARC 100 Best Marketing Campaigns. Let us learn from them and make them the best practices on executing the best Global Marketing Campaign. Facing stiff competition in social messaging space. Ariel needed to adapt to the changes of providing a product that is driven by the need of the common people. The film they targeted just that – household Indian women and their husbands. The concept is that they share the load of household chores and ariel makes it easy for that to become a reality. As an effect of the campaign, it brought 1.57 million men to pledge to help their wives at home. In terms of sales, it has doubled value and volume sales to 106% to 105%. A four-year ad run through traditional media and Digital channels. It was an emotional and product-free storytelling style that captured the interest of many especially on Television. It was sought after for its run in 4 years. It was supplemented by a set of teaser cut films that aimed to entice watchers for the “next episode”. For this effort, it has brought the UK department store a strong 33% sales growth in the span of 4 years. Nothing beats Newsworthy publicity stunts paired with a launching of a popular brand. Double robotics aimed to get a foothold of the market in Sydney, Australia but was on a limited budget. This is where they conceptualize LUCY – a telepresence robot. They use Lucy as a representative in line to buy the first iPhone 6s in a Sydney Apple Store. The stunt came about in over 4000 news articles and reach over 123 million people. This also brought the the company a total of $44 million in sales solely attributed to that event. LUCY was as Lucky as anyone could be. Bringing in excitement to the shopping experience will surely increase conversion and revenue. Media Markt was Germany’s biggest electronic retailer but was having a difficult time bringing in in-store sales as most customers would only research about the product and would look to purchase it other stores at a cheaper price. To reverse this, they created the “Rabbit Race”. Played online line and live on the store. People would get a 50% discount on the items they purchased if their rabbit won the race. It was such a big hit that the company included in their annual campaigns. It has netted over 21 million watchers and over $250 million dollars in revenue. People love to gamble no matter what game it is period. As a online magazine company, the economist aims to become the “handbook of the corporate elite”. But they saw the metrics were not holding its own. With this, they devised a plan to build content around controversial titles and topics that will improve readership. These approach in content development and publishing aimed to improve traffic generation and subscriptions. Nothing beats reading a really interesting title or tagline at first glance. Most users will always look to click interesting topics. In addition to readership increase, shareability of the website is also increased when the content is relevant and interesting. By using this content strategy, it only took 9 days since the release of the campaign to take them to 50% of their monthly quota of 650k new prospects. It also brought a 5-month long target hit for the said goal. In terms of revenue, it brought in a total of £51.7m in lifetime revenue. Using data to get on top of things. This is what Narellan Pools – an Australian Swimming pool builder opted to do in analyzing customer data. The use Big Data to know when are the best times people are looking to buy pools and other related products. They maximized these times to present ads, social media exposure, and other marketing campaigns. They dubbed it the “first dive-in moment. With these, they have increased their leads to 11% and sales year over year. Apple wanted to stand apart from other smartphone brands as they are always branding themselves. Boasting about the numbers and specs of their cameras, by using their customer’s’ own output to demonstrate the superiority of the iPhone 6 camera. 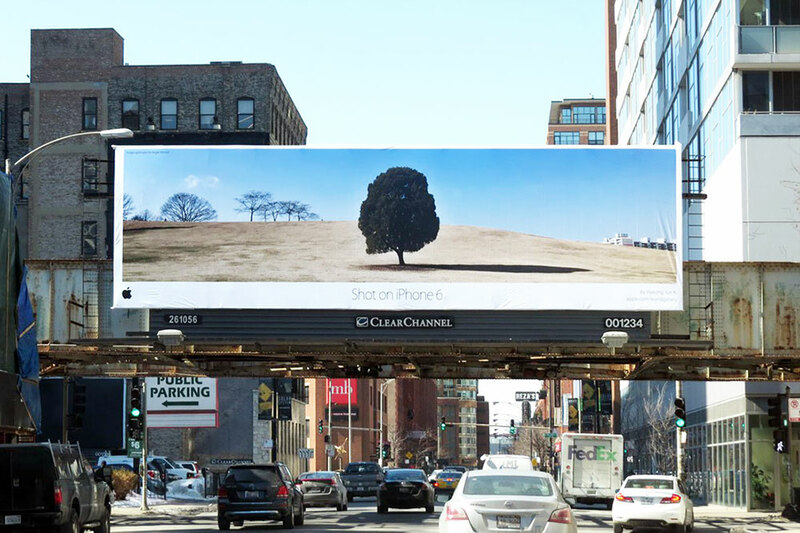 They turned the photos taken by iPhone 6 users into a ‘World Gallery’, with an outdoor campaign that kept the iPhone model top of mind six months after launch, and doubling sales in Q2 2015. It was a creative way to showcase the capabilities of the phone. Most phone companies followed suit with the effect it had for Apple. Always, the feminine hygiene brand, have continued their ongoing campaign to change negative stereotypes about what it is to be a girl via online video, social media and a website hub. When you fight for a cause, there will always be clamor and support around it. This marketing campaign brought a sense of equality among different issues on gender needs. In addition, social media brought the message to many through its network of people. You no longer have to put much effort and “monetization” when their is an huge interest in what you are trying to do and promote. Australian tinned fruit brand SPC leveraged labelling to fight a Hepatitis outbreak due to contaminated imports, under the #MyFamilyCan title. Going direct to millions of households, SPC began a national conversation through their educational labels, and an overwhelming response meant a rerun was ordered within two days, paving the way for nationwide labelling change. This is also attributed to a worthy cause that will surely have an audience on multiple marketing channels. Fighting for what is right will always receive a huge interest especially on a targeted audience. It will start a revolution on its own. With the goal improve its very low customer consideration scores, Tiger Air, an Australian low-cost airline, created a funny yet very shareable marketing campaign. They focused on finding the gap in the market for the low-frequency flyer. Thus, the brand created the Tiger Air Infrequent Flyer Club campaign. It aims to target those that are not traveling that often and putting them in a group where they have inclusive discounts and freebies. This campaign boosts its consideration scores within six months of the campaign. This marketing campaign brought in the right attitude on how to manage different customer classifications. Copyright © Global Inbound Marketing All Rights Reserved.